All children deserve a long, healthy life. Your support makes our mission of Care. Cure. Thrive. possible. 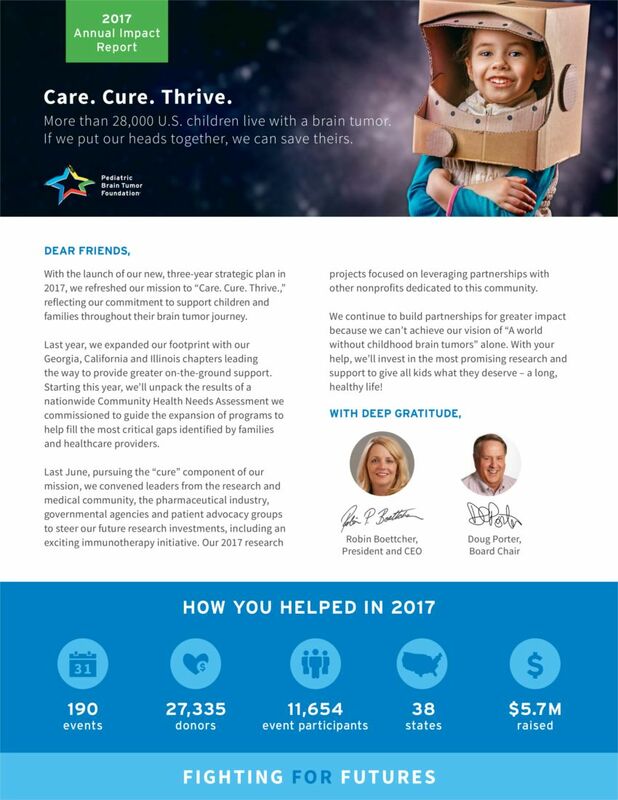 Learn more about how you're helping kids with brain tumors by viewing our most recent Annual Impact Report. Get started by clicking the front page of the report below to open up the full version.